After the pool last night, Michael and I went to The Ram restaurant for dinner. It was pretty busy so we waited at the bar with drinks. 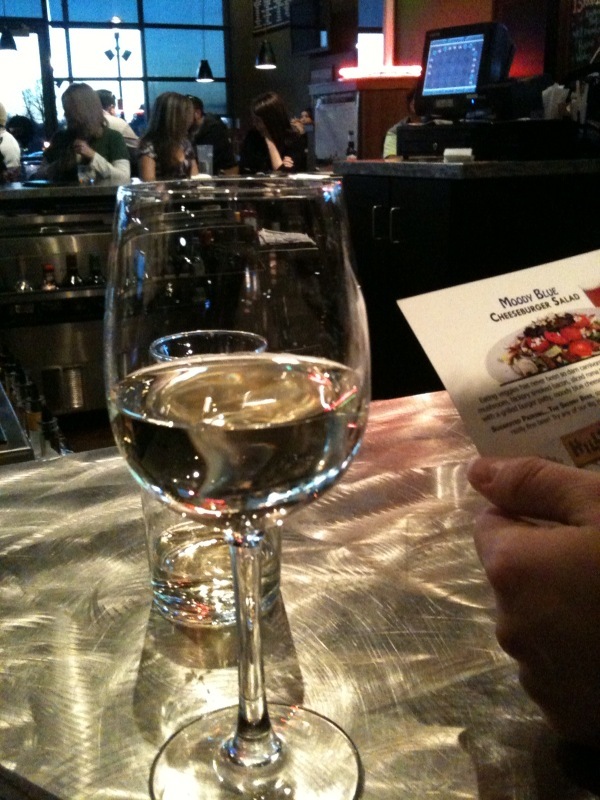 I had a Riesling because beer just didn’t appeal to me. I wasn’t too impressed with the menu selections (it kind of felt like a Red Robin) and didn’t really see much that I could order. 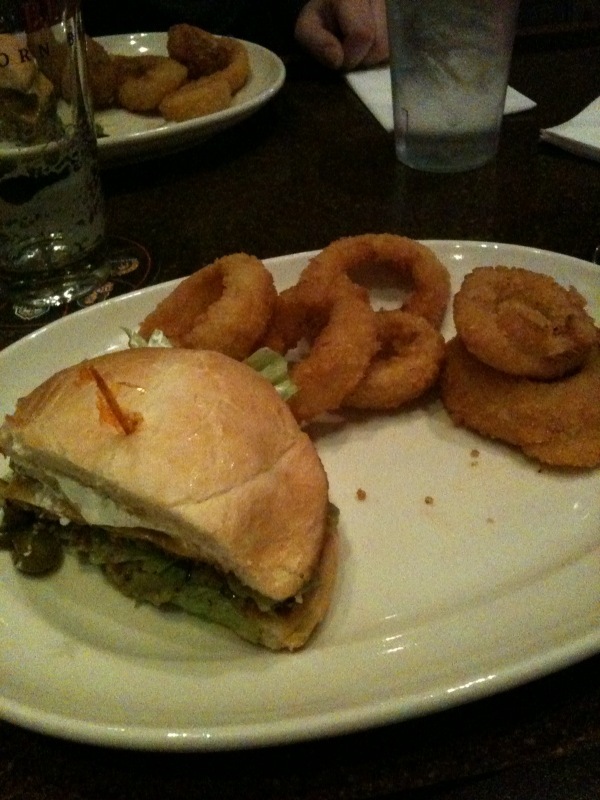 Michael and I ended up splitting a burger with onion rings. I like splitting entrees at restaurants because the portion sizes are always huge. After dinner, Michael confessed that he hadn’t wanted to split the entree but after eating it he was really glad we did. I was too. I felt way too full all night. It was too much food–evening splitting it!! I don’t think I broke my “bank” calorie wise though. 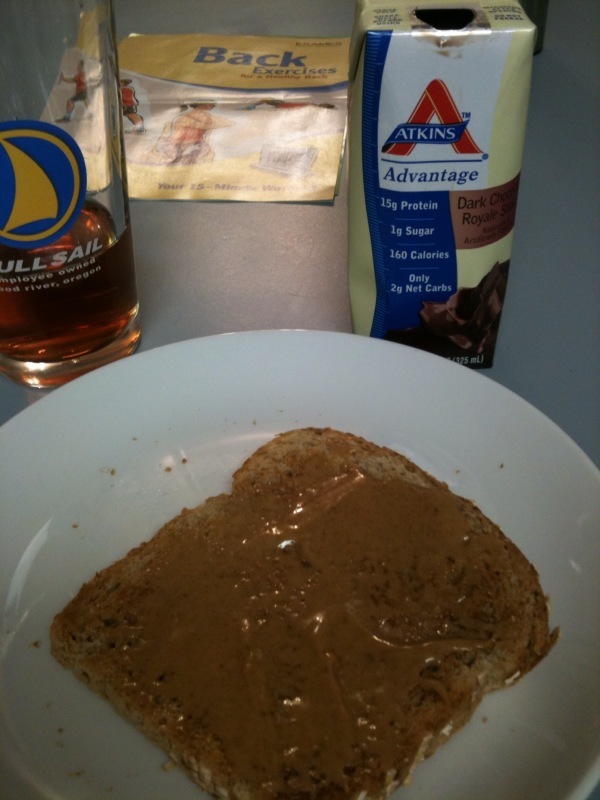 This morning I was running late so I had a quick breakfast of toast with peanut butter and a protein shake, with a little iced tea to take my vitamins. I’m glad the sun is out and I’m anxious to get out there and enjoy it. I think I’ll go for a walk at lunch today.